UPDATE (April 25): Good news, Beatles fans: that concert doc The Beatles: The Lost Concert — The Birth of Beatlemania in America, which captures the band’s first stateside show, is getting a wide release, too! New York City is hosting an awesome film fest starting this Friday (apologies to everyone reading this farther than a commuter-train ride from Manhattan) and no, we’re not talking about this one. The Ziegfeld Theatre, the last of the fancy single-screen cinemas in Manhattan, is presenting a 10-day Rockfest April 27 through May 6. 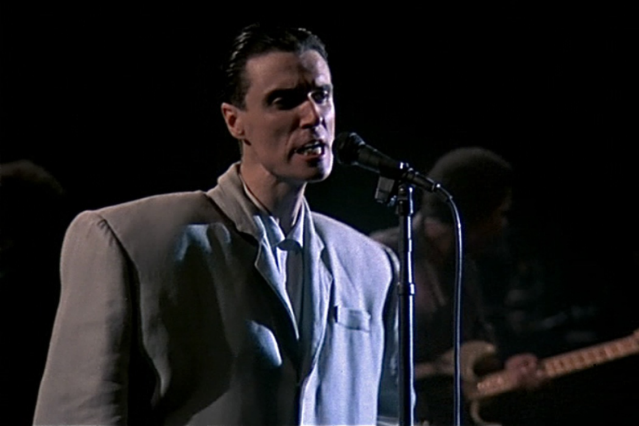 Flicks played will include concert documentaries like Talking Heads’ Stop Making Sense and U2 3D as well as band-scored films like Tommy and Yellow Submarine. One of the first flicks to be screened, however, is fittingly The Last Waltz, the 1976 concert film documenting the Band’s Thanksgiving Day performance that featured special guests like Bob Dylan, Joni Mitchell, and Eric Clapton, no doubt to pay tribute to the late Band drummer Levon Helm. Tickets for each screening are going for the unheard-of-in-NYC price of $10 each (U2 3D is a little more), and are available along with screening times on the Rockfest website.